The Mini Micro is the quality choice in children's scooters. 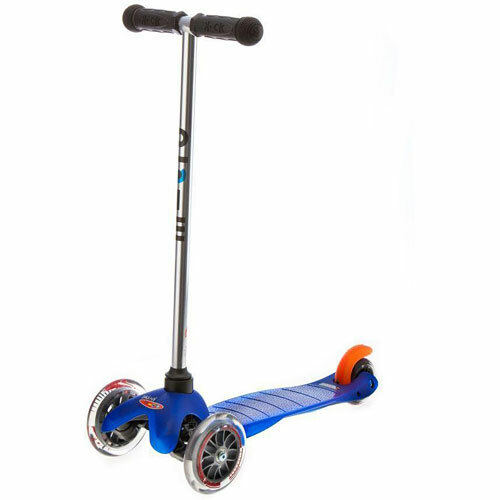 The kickboard design features 3 wheels, gentle steering and a low-to-the-ground deck, all of which make the Mini exceptionally stable for young children. 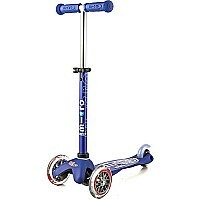 Smooth-gliding wheels and a strong, yet flexible deck combine to give the Mini its unmatchable ride - sleek and quiet - you won't hear any rattle when it rolls. But it's the Mini's unique lean-to steering that makes it fun; kids direct the Mini by shifting their body weight to curve right and left, learning balance and coordination as they go. 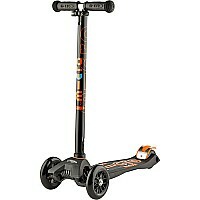 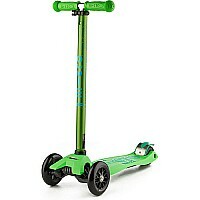 Smooth gliding, durable and lightweight, the Mini Micro scooter is recommended for young children up to 44lbs.